Far up the Arctic Circle, in northern Finland, rests a magical land of snow and ice. 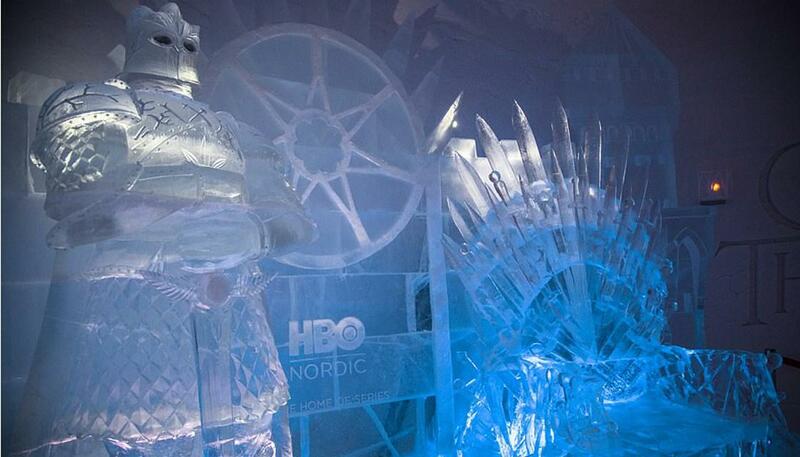 The Game of Thrones inspired hotel in this snow village is definitely something! About the skiing slopes of Levi and the Pallas-Yllästunturi National Park in Finnish Lapland, there is the Snow Village. Yes, you heard it. 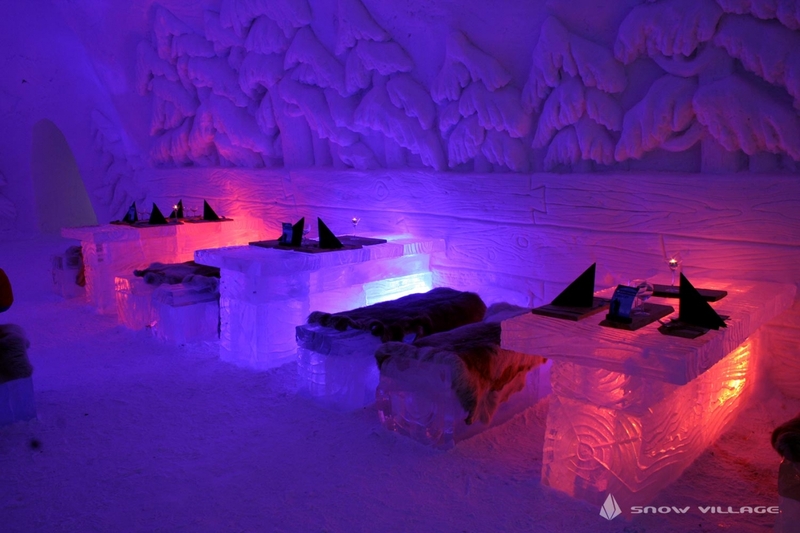 This enchanting village of snow and ice consists of its very own Snow Hotel with an Ice Restaurant, Ice Bar and Chapel. 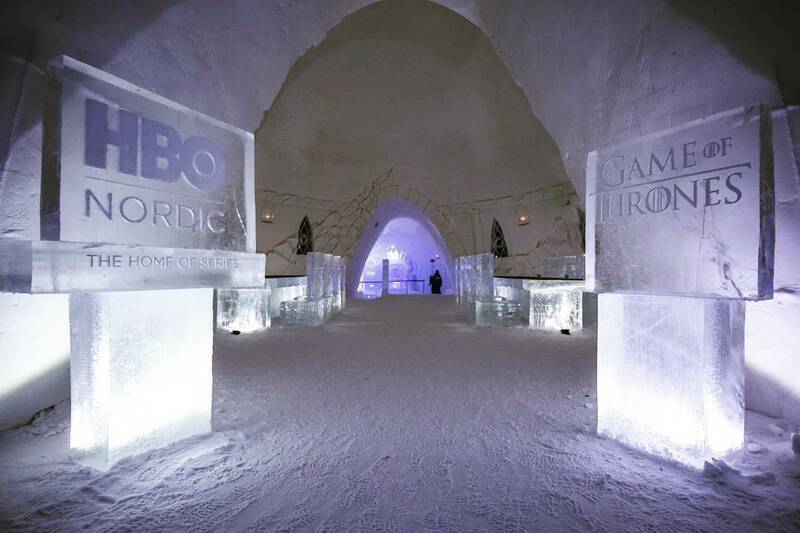 This year, the hotel wore the look of one of the leading TV series, Game of Thrones, created in corporation with HBO Nordic. Open for the winter season 2017-2018, the Snow Village attracted instant attention on social media due to its theme. 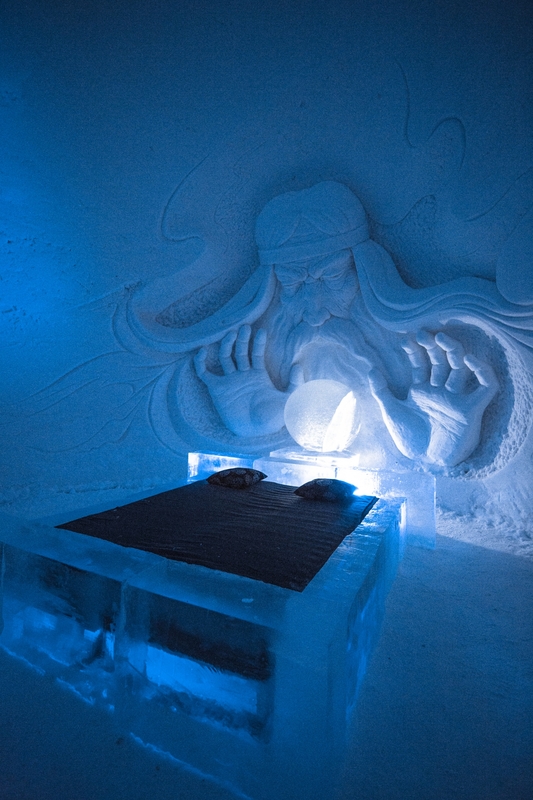 An icy dragon with blue eyes guarding the Ice Lounge, the tables adorned with Game of Thrones heralds, the throne hall were some of the intriguing features of the hotel. 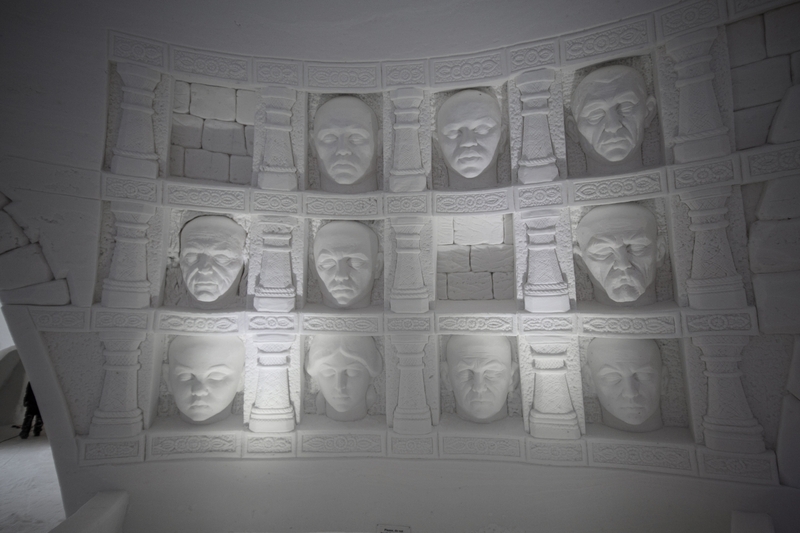 The rooms of the hotel were designed by sculptors from Poland and Latvia. There were 14 rooms and 10 suites. 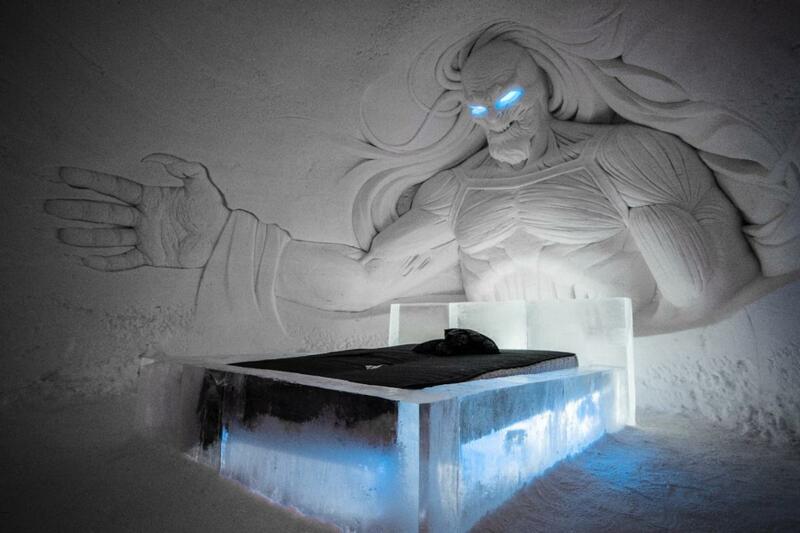 The most admired room was the one where a White Walker appeared over the bed with his gleaming blue eyes. The Game of Thrones inspired Snow Village was build in a month’s time by fifty construction workers. 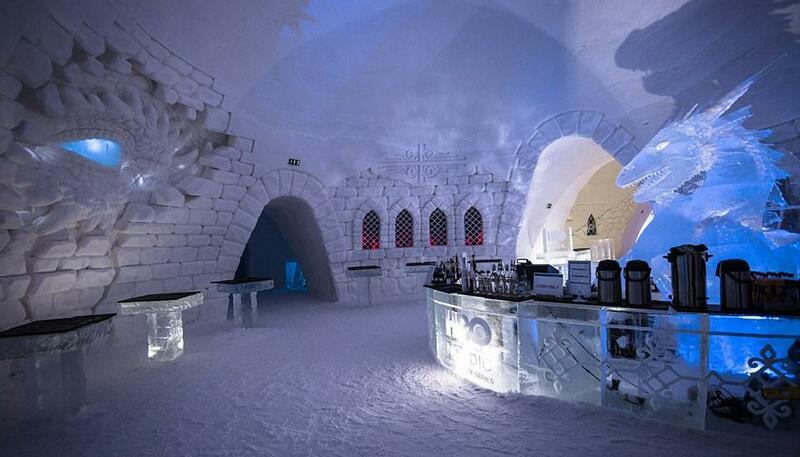 It was made out of 40,000 cubic metres of snow and about 4000,000 kilos of natural ice. The village was open from December 2017 – April 2018. The two brothers, Rami and Tomi Kurtakko, sculpted the entrance of the hotel, opening up the hotel to a planet of ice and sparkle. They have been building snow structures around the world for over 10 years now. Every year, almost 20 million kilos of snow and 350,000 kilos of natural ice are used to fashion the Snow Village. The snow hotels in the Snow Village melt away. So it is no doubt a ‘once in a lifetime’ experience! 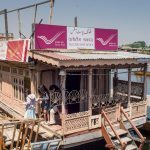 This breathtaking land of magic has easy approach from Kittila and Levi airport and attracts thousands of visitors on a yearly basis. Winter is coming. Plan your visit.